The idea for a Celtic murder mystery formed during genealogical studies that traced the family name back to at least 1500 A.D. Germany. That finding began my interest in the very earliest inhabitants of Europe. Years of research later regarding early Europe and the Celts revealed a fascinating possibility for what some might call a work of speculative fiction. The time period for the Runevision Mystery series roughly equates to historic 425-450 A.D. Europe but the series is a work of fiction—speculative fiction by some definitions, alternative historical fiction by others. Regardless of label, it is above all, a complex murder mystery full of detail, twisting plots, and devious subplots that take the reader along with the characters into a new, unexplored place and time. How do historical Celts differ from those in your Celtic Runevision Murder Mystery series? Today we think of something Celtic as being of Ireland or some other part of the British Isles but in an historical sense, that is not completely correct. Before the invasion of the Romans into Eastern, Northern and Western Europe and the British Isles, (pre-Circa 55 B.C.) these areas were inhabited by groups of people known as Celts (pronounced Khelts). Although the group names, language and cultural norms varied widely by region—from Eastern and Northern Europe all the way to the British Isles—there is archaeological evidence these societies were connected by an impressive trade network which facilitated an exchange of varied cultural, social, and religious ideas. When the Romans spread into the lands, however, their efforts to displace Celtic traditions and religious practices with their own led to oppression, dissent, and outright rebellion. In the Runevision Mystery series, the term Celt is a broad term used to describe those non-Romans living in Europe. 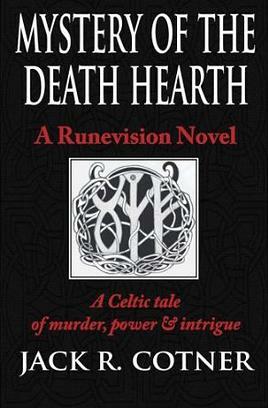 As the Mystery of the Death Hearth and the Runevision Series illustrates, these people had a structured society, religion and strong social and family connections. In that sense, the fictional Celts are much like their historical counterparts. The series is a work of fiction that explores the struggles of those who might have lived at a time when the Romans controlled much of western Europe. 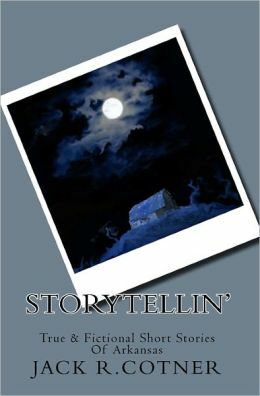 My first book Storytellin’: True And Fictional Short Stories Of Arkansas was inspired by a desire to pass not only some entertaining, true family stories on to my daughter and granddaughter but to write and share original, fictional stories based in part on the old family stories; most with valuable, moral life lessons attached. Book two of the Celtic Runevision mystery series The Corpsemakers is well under way. The action begins a few months after the end of book one. The series’ protagonist, Weylyn de Gort joins Fionna, Elder Eghan of Oaks and the Roman Commander Orrs to battle perpetrators of a murderous plot to annihilate the Celtic Oracle Fountain stewards and steal the sacred Celtic site. The danger escalates as an outbreak of deadly plague sweeps through the Empire and into the Brendan Valley. Each of the books, although part of a series with recurring characters, are stand-alone mysteries so readers do not need to have read them in sequence to enjoy the work. One word: Write. Seriously. Write, write and rewrite. It is the best way to hone your craft. The ability to put into words and share with others the thoughts and ideas that fill my imagination. This entry was posted in Arkansas stories and folktales, Books, Uncategorized, Writing and tagged Celts, Jack Ronald Cotner, Runevision Mystery Series, Writing. Bookmark the permalink. Thank you for stopping by my blog, Jack. Researching our family history inspired me to write my historical fiction novella. There is a wealth of ideas and information to be had from looking into the past. All the best with your next book. Thank you, Jean. I enjoy your blog very much. Your latest post “Cooking versus Writing, no Contest”, is so well written and entertaining. I am humbled to know we have something in common with the family research and its wealth of ideas and inspiration. Thank you for dropping in, hope you’ll come again.